We are very pleased to be stocking a new range of spectacle frames. Johann von Goisern are beautifully crafted hand made frames from the world heritage area of Bad Goisern in Austria. They offer unique individual designs attributed to a special lamination technique, through which up to 20 different raw materials can be combined in a single frame. This creates colourful, breathtaking designs and coins the Johann von Goisern slogan: Dare to be different! Brian Hardy is a keen model ship builder. 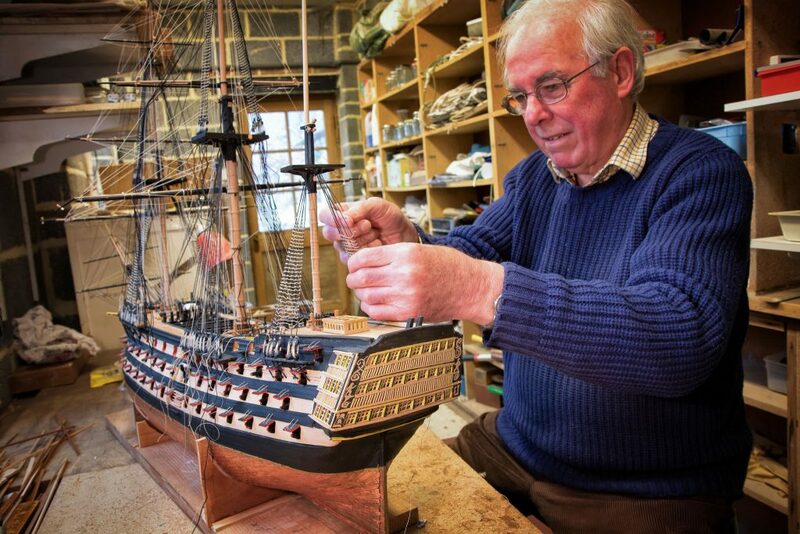 He has been making scale models of sailing ships for over 20 years, including the Cutty Sark, 2 previous HMS Victories and George III’s royal yacht. The longest build took Brian 7 years to complete. He is 3 years into his latest Victory model and hopes to have it completed within the next 9 months. At his recent eye examination, Brian mentioned his need for a stronger pair of close vision spectacles, to help with the fine detail required in completing the rigging and intricate finishing. Having made up a specialist short range pair Brian kindly invited me to see how the Victory was progressing and to check out his new glasses. “It would be impossible to finish her off without the improved focus I am getting with the new glasses, I can now see everything at a much shorter range”, said Brian. Wow what a lovely few days of sun we have all been having. I hope you have all dusted off your sunglasses and are wearing them to protect your eyes from the harmful UV. We have just handed over a fantastic new pair to our latest winner of our children’s sunglass prize draw. Congratulations Lily, who chose a Disney Frozen pair, part of a new range of Marvel and Frozen frames we have just had in. Lily was very excited to have found out that she won as she loves coming to have her eyes checked. A very sensible girl! The sunglasses have come at a perfect time because Lily is about to go camping and so hopefully the sun will continue to shine!